Between this and Shoemaker-Levy we've been getting impacts on other bodies wrong. For the Jupiter impact, we expected nothing and were surprised by the results. For LCOSS we expected fireworks, and got a dud. Though Hubble was imaging the site as well, so maybe we'll get a good shot from him. It makes me wonder if we really don't know how the process of impacting bodies really works. Maybe we're at the stage of Maxwell and need our Einstein to clear things up? I wonder if part of it is just that we don't have a very good idea of what these bodies are made of and what their internal processes are? Shoemaker-Levy hitting Jupiter? Big deal, Jupiter is way huge and besides they're both just basically simple gas and ice. Right? Slamming a rocket into Luna, that'll be cool. The impacts haven't had the effects we've expected because we don't really understand the bodies involved. Proof that the moon IS made out of cheese. Well... cream cheese anyway. It does seem that we know less than we thought we knew about what happens when objects bang into each other in space. This relates to something else I've been thinking of lately, asteroids. It seems to me that the popular notion of moving them around (whether for peaceful or warlike purposes) is pretty much dead, if most of them turn out to be loose rubble piles. On the other hand it could make mining them in situ easier. I had posited (elsewhere) a dark future setting in which the Apophis asteroid passes through the gravitational keyhole in 2029 which destines its impact on Earth 7 years later. The question becomes what does the Earth do during those 7 years. I've gotten a lot of feedback about sending a nuke there to blow it off course. But now we see that really may be ineffective. Blowing an asteroid apart might work, though, especially if you plant the bomb deep in the interior. The expanding fireball will push outward, and with escape velocity a few meters per second, the asteroid will disassemble and disperse. Some fragments will still hit the Earth, but they will be very much smaller. This is useless for moving an intact asteroid onto a new orbit, but it would get rid of a prospective collider. But with our woefully inadequate understanding of impact results, we wouldn't know if the missile burrowed deep enough or just bounced off the surface. Something as uncontrolled as a nuclear blast could actually make things worse. Then there are the socio-political ramifications of putting nukes into space. Never mind all the engineering needed to actually get the nuke there in the first place. Actually the most plausible way of using a nuclear explosion to move an asteroid (or comet) is to set off the explosion to one side of the asteroid so a top layer is vaporized & pushes the rest of the body away from the location of the explosion. This should work almost as well for a rubble pile as for a solid body. The gravity tug option for use when there is plenty of time will work as well on a rubble pile as a solid body also. Googling "asteroid gravity tug" gets you several descriptions of the idea. I was imagining either a human mission or a robotic system much more sophisticated than just hitting the thing. But that said, I would also like to avoid nuclear weapons in space, and given plenty of time, the gravitational tug should work. And other than deflecting a potential collider, I've never seen much point to moving asteroids. If you are doing some sort of mining, why not separate out the valuable stuff in situ? Especially since asteroid mining is well suited to big mobile facilities that can work a rock, then move on if called for. We sometimes learn more from our failures than our successes. The use of nuclear detonations to move asteroids and comets sounds like the 1950's Orion nuclear pulse rocket...but with the asteroid taking the place of the pusher plate! Maybe there will be Belters...but they'll be the crews of huge mining ships/space habs orbiting through the Asteroid Belt gathering, refining, and shipping back to wherever raw materials from various big rocks spining around the sun. @Citizen Joe: Thinking about Apophis, I wonder if it were to hit the keyhole, would tidal forces pull it apart if it was just a rubble pile? That could be why Shoemaker-Levy broke up, or more correctly, pulled apart. It may have been a rubble pile of ice and rock. Remember Asteroid Itokawa? It is definitely a rubble pile. I doubt it would survive a close pass to Earth. "Blowing an asteroid apart might work, though, especially if you plant the bomb deep in the interior." I think Bruce Willice and Michael Bay already tried that idea in a not too recent movie. But to be serious, from what I've been hearing across the media that isn't a disaster film, blowing up an incoming asteroid just makes a bad problem worse with many more impactors to worry about. So far there are two effective universal solutions to asteroid impacts: Gravity Tractor Tug and nuclear bomb deflection. But to get back to the subject at hand, it is rather interesting that NASA's prediction of the impact did not match what had happened. Giving evidence that even highly paid experts can miss the bulls eye every now and then. Whether blowing an asteroid apart helps depends entirely on how far away it is from impact and what scattering velocity you manage. If you manage to get it early enough, and to scatter it fast enough, that most of it misses Earth, then you've managed to limit the damage quite effectively. But if you scatter it too late or too slowly, a bunch of smaller frags hitting all at once will do more damage than a single asteroid of the same mass. Since most of the important things on Earth (life, human civilization) are within a fairly thin surface layer, it's better to have a single impact that penetrates deep and leaves most of its energy and mass in dead rock than it is to have multiple small impacts that leave a good chunk of their energy higher up, as well as contributing more dust to the atmosphere. We can learn more from failure than success, but we don't know that L-CROSS was a failure, except for not providing a sky show yesterday morning. If the spectra show H2O, everyone will forget about the missing plume. On breaking up rubble pile asteroids, I'm not sure about multiple small impacts being worse than one big one - it probably depends on how multiple and how small. My impression is that the worst effect of an impact is dust kicked up by crater formation, which is many times greater than the mass of the object itself. If the fragments that hit are not big enough to form craters, the impacts might be an order of magnitude less destructive. Having an unexpected result is sometimes even better than getting the one you did expect. I think that this just goes to show why the study of impacts is a seperate science. Straying resolutely from the official topic, we seem to be learning a lot of new things about the asteroids. My impression for a long time is that they were mostly stuff that simply never coalesced into planets, due to Jupiter, and was pretty much still primordial grains. Now I'm reading that they think the belt had coalesced into fairly large protoplanets, Ceres size or larger, that then got mostly smashed to pieces or ejected, leaving what we see now. But if a lot of belt material was once in objects large enough to undergo radial separation, that sort of puts the old asteroid mining thing back in play, at least for rare heavy stuff. The problem with asteroids is we just have ever only been remotely close to one a few times, and all we could do was took a few pictures as we zipped by on our way to something bigger and more interesting. What we know of them is what we pick up after they've burned up in the atmosphere and them slammed into the ground. That tells us a great deal... about the part that survived, a lot less about the part that didn't. If we add to that the sheer variety of these things, and it becomes almost impossible to predict what one will be made of. And to pile things on top of that: Physics actually do not scale very well. Take a paper airplane. The size of a sheet of paper: it works. A paper airplane the size of a bus will not. That means some things cannot be scaled down and tested and then extrapolated on a larger scale. I wonder how confident they really were of that prediction. It is possible some guy in a business suit decided to pick up on one possibility and told the guys in the lab coats to really hype it to get the press to pay attention to them, since it would mean more money coming in. Of course the old adage "Don't attribute to malice what can simply be accounted to by incompetence" does go a long way. Jean - I don't think the visible plume was even a major objective of the project. What they really want are spectra, which apparently they got. But the plume was one part of the deal, and of course it got hyped because it was expected to produce some nice video. And you're right that we know very little about asteroids, having only shot some images in passing. "Robots that rescue failing satellites and push "dead" ones into outer space should be ready in four years, it has emerged. Experts described the development by German scientists as a crucial step in preventing a disaster in the Earth's crowded orbit. Last year it was reported that critical levels of debris circling the Earth were threatening astronauts' lives and the future of the multibillion-pound satellite communications industry. But senior figures at the German Aerospace Centre (DLR) told the Observer they have been given the go-ahead to tackle a crisis that will come to a head in the next five to 10 years as more orbiting objects run out of fuel. Their robots will dock with failing satellites to carry out repairs or push them into "graveyard orbits", freeing vital space in geostationary orbit. This is the narrow band 22,000 miles above the Earth in which orbiting objects appear fixed at the same point. More than 200 dead satellites litter this orbit. Within 10 years that number could increase fivefold, the International Association for the Advancement of Space Safety has warned. Klaus Landzettel, head of space robotics at DLR, said engineering advances, including the development of machines that can withstand temperatures ranging from -170C (-274F) to 200C (392F), meant that the German robots will be "ready to be used on any satellite, whether it's designed to be docked or not". 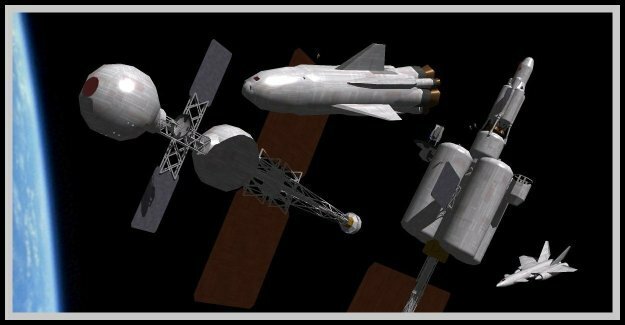 In 2007, the US Orbital Express project succeeded in refuelling an orbiting satellite. However, that satellite had been specifically designed to dock with the device." So shepherd-rockets are an emerging commercial technology, which makes dealing with asteroids a lot simpler. And we're apparently about to start moving scrap metal and electronics into graveyard orbits where they can be looted (Pardon, recycled) later. Does anyone know how salvage law works in space? This technology has other implications - if you can shunt satellites around conveniently, you probably can also ferry them from LEO up to GEO. Which starts to create more favorable economics for reusable orbiters. "Does anyone know how salvage law works in space?" Rule #1: If you can it, it's yours. LEO to GEO: well actually since whether you send up the fuel as part of the satellite's package or up to the robot orbital tugs, the remass needed won't change that much. Sure if it's self-contained you then have to push the engine and tank along, but since the robots will be pretty massive, and need to carry remass for the return trip, I don't see their presence in orbit as necessarily making the LEO-GEO transfers any cheaper. However it does open an interesting avenue for manned presence in space. If you could tug those satellites back and forth, you could build a repair center. If satellites are subsequently designed to be modular, easy to repair, and can accept hardware updates, then you could have Mo, Joe and Larry's Satellite Repair and Rental. Actually I tossed that rental part as an afterthought, but why not? Say an old satellite is too backward for SuperGlobalCom but an upstart developing country would drool over it but can't fork the full price of one of those babies, why not buy trade and rent satellites that are in orbit? A quick stop at the shop to fix it, re-brand it, re-task it, and toss is back up, for a fraction of the cost of developing a satellite from scratch, paying to orbit it, and then paying again to boost it to GEO. Once said developing nation is ready to move on to bigger and shinier second-hand satellites, the body of the old one could be passed on down to the next buyer. If all it takes to re-task those satellites is changing a card or even just a few chips, and the body, power supply, solar panels etc... of the thing are still in good condition, wouldn't it be feasible? Rule #1 should read: if you can GET TO it. Was there a plume but it was occluded? Was the plume smaller than expected? Was the plume simply of a non-visible material? Jean - The propellant still has to go up, but it is no longer 'closely coupled' to individual satellites, and launches are less isolated events. In current practice, your satellite design dictates what booster it goes up on. The more generic the launch requirement, the more competitive a reusable orbiter can be in bidding for launches. This also relates to your point. Winch/Nyrath sounded skeptical of the tug story in his Twitter feed, and I agree; there's no reason to think the Brit mass media knows anything more about space than the American media does, which converges on zero. But our current satellite regime can't last forever. By 2050 or 2100 the clutter of dead, obsolete, or merely bankrupt satellites will pose a real problem, and people will want to upgrade costly hardware instead of throwing it away. Citizen Joe - Probably not #1, but I'm sure the L-CROSS team is being kept very busy, and the absence of a visible plume probably isn't even uppermost on their minds. If we knew the results in advance, there wouldn't be any point doing the experiment.... Since the spectra are different pre- and post-impact, then evidently something happened and detailed analysis will tell us what. I imagine it will also be interesting to re-analyse whatever models were used to predict the plume and see how they need to be adjusted to reflect what actually happened. Carla - If we knew the results in advance, there wouldn't be any point doing the experiment. This is very true! Spacecraft detected the actual impact flash (which was out of view from Earth), and registered a 'hot spot' on the lunar surface where it hit. I am sure they have plenty to keep them busy! Actually the point of science is to make the experiment anyways even if you do *know* what's going to happens. After all, the litmus test of a scientific experiment is that it can be repeated. Over and over. And over. And then over again, to be sure there isn't a fluke. And then again, to prove *that one* wasn't a fluke. Really, we never stop proving the same laws over and over again, just to be sure. That said, since impacts like these are infrequent, the very fact that they were wrong proved we still don't have an impact theory that can be tested repeatedly and yield the same result. Back to the blackboard guys, we missed carrying a two over somewhere. We really don't know how wrong/surprised the mission scientists were. This mission was, among other things, an impact event between science and Hollywood. A visible plume may have been nearly incidental to the mission, but it became the publicity focus. Sort of like a rumor that Angelina Jolie might show up at an event - next thing you know the place is surrounded by paparazzi, and if Angelina doesn't show up it suddenly becomes a story.